The last day of November 2015 has been marked by dramatic views of land sea and sky. With daylight hours greatly shortened and heavy cloud cover at times, light levels have been low. If out walking, you had to do your best to avoid the short, sharp, shocks of the intermittent hail showers. 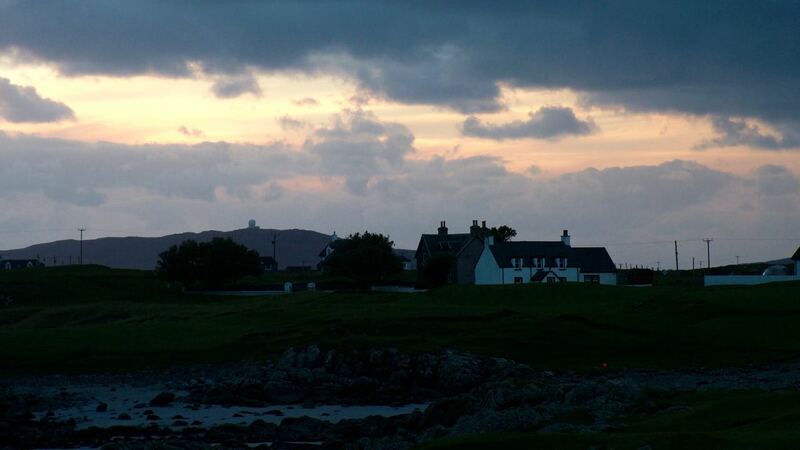 Views across the Passage of Tiree to the Isle of Mull have not been the sharpest. 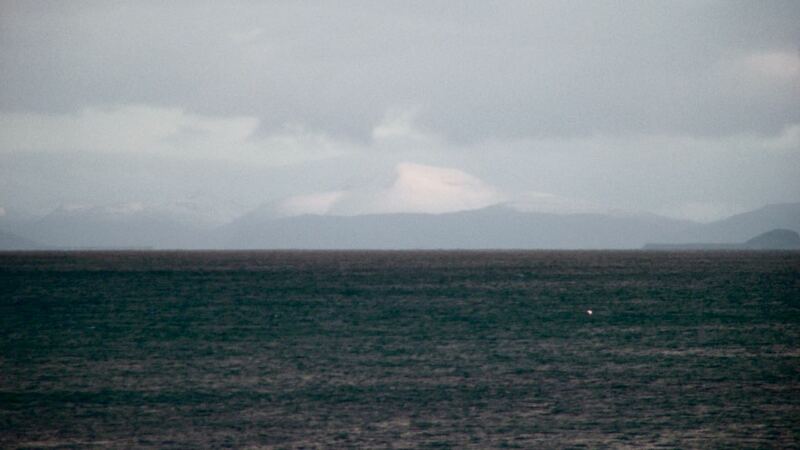 However, it was possible to observe that Ben More and the surrounding peaks have snow to a lower level than normal. Tomorrow snow is forecast for much of mainland Scotland, but it looks as if our position in the Atlantic means that Tiree will remain a snow free zone. We shall see. 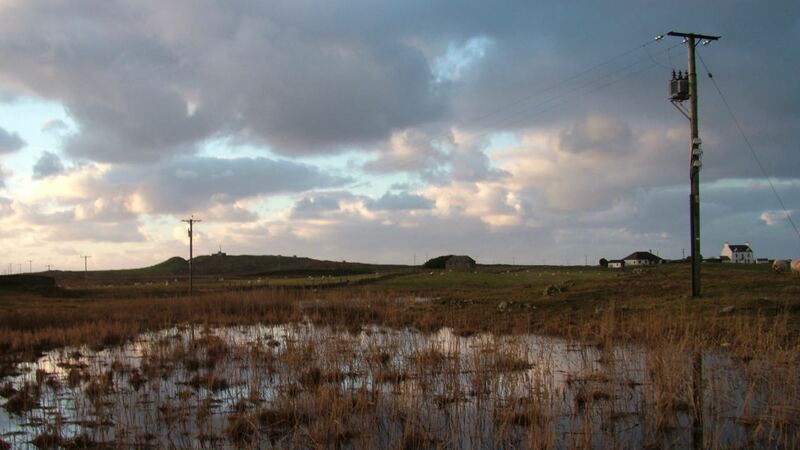 After the weekend’s rain even puddles, tarns and lochens contribute to the landscape. Looking back towards the Island’s Memorial close toPier Road. 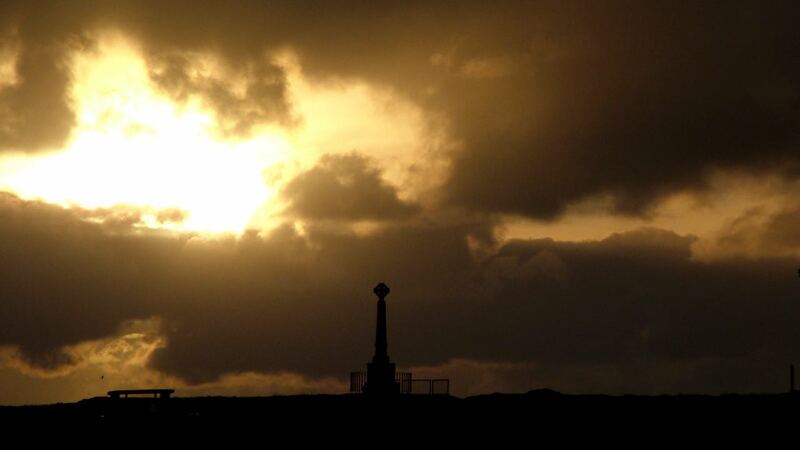 The memorial stands as a silhouette against the setting sun. In the breeze from the West-North-West we venture down the Pier. Here land, sea and sky meet to effect. We complete our walk by returning to Scarinish harbour and lighthouse. Nightfall is with us! What a contrast from the long daylight hours of summer.